Sonakshi Sinha cannot stop smiling. She is in a great phase professionally and has a lot of work coming her way. 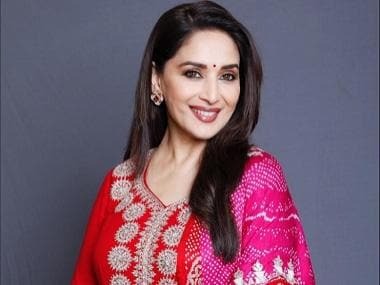 On one hand, she has Karan Johar’s epic period romance drama Kalank on the verge of release (17 April) and on the other hand, it is ‘homecoming’ for her with the third instalment of successful franchise Dabangg (it will serve as both a prequel and a sequel to the previous films), with her mentor Salman Khan. Not just that, Sonakshi will be seen in Mission Mangal and Bhuj: The Pride of India with superstars Akshay Kumar and Ajay Devgn respectively. “Mazaa aa raha hai. These are the good times. I am really enjoying it, shuffling from one city to another for shooting, promotions. This year, I have four releases!” says the actress while rubbing her palms with joy and excitement. Sonakshi had a golden run at the box office right at the start of her career. She made her debut with the highest grossing film of 2010, action drama Dabangg. The audience instantly fell in love with her as Rajjo. Rowdy Rathore, Son of Sardaar, Dabangg 2 — Sonakshi went on to deliver multiple hits. But the downward curve in her career graph began with Action Jackson. Since then, she has not been able to deliver a hit. Her last outing, Happy Phirr Bhaag Jayegi received mixed response at the box office. However, the actress remained unperturbed and was happy experimenting with each film, whether it was Akira or Noor, both in central characters, or Ittefaq, a mystery thriller. As she says, these films may not have done big numbers at the box office but creatively, it has been satisfying to be a part of them. “It has been a great journey and that is how it should be — a mix of success and failure or else how do you learn and grow?” are the wise words. 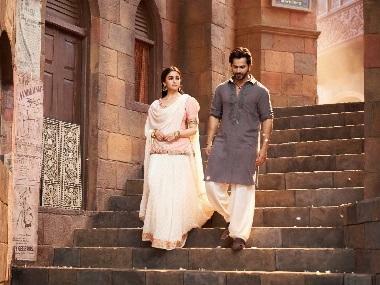 Kalank is Sonakshi’s first multi-starrer with an ensemble cast — Varun Dhawan, Alia Bhatt, Aditya Roy Kapur, Sanjay Dutt and Madhuri Dixit. But was she skeptical initially when the offer came to her, considering that it is a film with Johar’s protégés Varun and Alia? “When you see the film as a whole, all these things become very trivial. Every character has a part to play in the narrative to take the story forward, and if every actor thinks that way then we will never be able to make multi-starrers. We have to see the bigger picture and whatever works for the film. I can’t complain because it is a meaty part,” she says. “I am doing couple of more multi-starrers like Mission Mangal and Bhuj and my role in both these films is strong and important. It does not get lost among the other characters,” she adds. However, the only thing that upset her a bit was not getting to share screen space with Madhuri. “Unfortunately, I don’t have a single scene with Madhuri ma’m and that is my biggest complaint to Abhishek (Varman, director). Madhuri is someone who every actress has looked up to at some point in their life because of her body of work and the kind of person that she is,” said Sonakshi. Sonakshi is also known for her dance skills and has been associated with quite a few foot-tapping, hit numbers but her character in Kalank, Satya Chaudhary, appears to be grim and sombre, which does not give her the scope to shake her legs like Madhuri or Alia, who have done a kathak numbers in the film. When asked, she says, “Daalo jale pe namak (rub salt on my wound) and rub it nicely," accompanying it with a hearty laugh. “Of course, I love to dance and be part of a song but because my character doesn’t allow me... When you see the film, you would know. Satya is not someone who would break into a song and dance because of certain situations she is in. In this film, I was left out (doing song and dance) but in my next, I will make up for it,” says Sonakshi, while agreeing that her character is a bit similar to the one she played in Lootera (2013). “I also got that feeling because the kind of woman she is – strong, silent, resilient, sacrificing. It is an emotional role,” she adds. Sonakshi calls herself a spontaneous actor and hence, says her approach towards every character remains the same. “Each role has its demands, whether it is a lighthearted comedy or an emotional and stoic character like Satya. I am spontaneous in front of the camera. When the camera starts rolling, that is when I start acting. So my approach to any role is the same. I would approach Dabangg’s Rajjo as I would approach a Satya. I just need the camera to be rolling and I need to have a good conversation with my director to understand his vision, how he has pictured my character, and that is when I add my little bit to it and present it,” she explains. She further says, “My process is literally like a button — switch on, switch off. I don't take my character, my work home with me. The most difficult part for an actor is be able to emote without saying much. My character in Kalank says less but her emotions come out through her eyes. There is one scene with Aditya, which is very important for the plot of the film. It was very difficult because I cannot imagine myself to be in that situation." Is she anywhere close to Satya? “Not at all, Satya is so graceful and elegant, whereas I am a tomboy who likes wearing track pants and chill. I am not similar to Satya at all, also in terms of the period she belongs to, the family that she lives with, the whole setting — there cannot be any similarities. But I am definitely a strong woman like her,” she says.